What Is The Most Economical Car Of 2018? Fuel economy is likely to be one of the hottest motoring topics of the summer, with petrol and diesel prices soaring and the forecourts across the UK becoming a real price battleground. Diesel has taken plenty of stick from all quarters in the past 12 months, as EV looks to knock it off its perch, but there can be no arguing as to the diesel’s credentials if you are doing plenty of miles. So what are the best cars to be bought on the market to save you pennies and pounds on fuel economy? It’s worth pointing out that Motoring Research’s figures are based on NEDC testing and could change when the new WLTP tests get underway in September of this year. 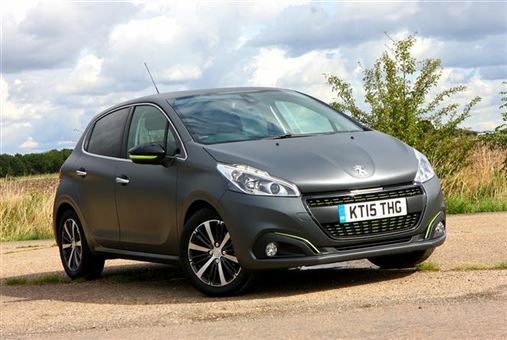 The supermini that can go a long, long way and with a fuel economy that is close to 100mpg is very impressive whichever way you want to package it. The lower-powered 75bhp 1.6-litre diesel will get the best results. Though all Toyota’s new cars now come type approved by WLTP, this means that the advertised mpg is a lot less at 83.1mpg, but at least you are more certain that you are going to achieve that economy. The new style Micra has some stunning looks for a mini and with a 1.5-litre dCi engine it packs plenty of power and with these economies it is almost the full package. While the Prius has gained all the headlines for the hybrid technological pioneering, the little brother has kept a cool and confident aura and gained plenty of fans. Like the Prius, it too suffers a little in that it is approved by WLTP which reckons that it is more likely to perform at 76.3mpg. The all-new Astra is being marketed as a ‘True Brit’, though whether that is a good or bad thing in relation to soaring fuel prices in the UK is unclear. Still at least Vauxhall have hit a winner with the 1.60litre CDTi which hits some real heights on a combined cycle. Is fuel economy a key factor in your purchasing decision? Speak to a Motordepot advisor online today to find out our best options.